Cody Swanson, 25, of New Hampshire. 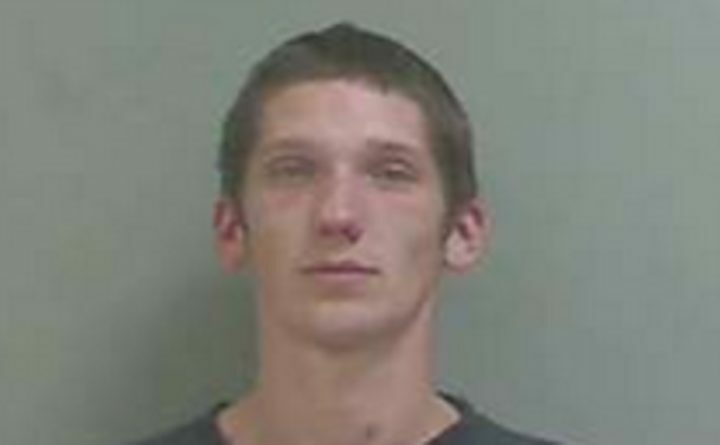 SKOWHEGAN, Maine — A New Hampshire man is behind bars after police say he assaulted a 2-year-girl Thursday night. Skowhegan police Chief David Bucknam said Cody Swanson, 25, was charged with aggravated assault Friday. Skowhegan police responded to Indian Ridge Apartments for a medical call about 8 p.m. Thursday that a 2-year-old girl was unresponsive. Her mother, Crystal Bowman, 25, of Massachusetts, had called authorities and reported that the girl had fallen down a flight of stairs. Police said an investigation determined that Swanson caused the injuries and that he had fled the scene. Police tracked Swanson down at a friend’s apartment on Main Street in Skowhegan around 5:45 p.m. Friday. He is being held at the Somerset County Jail in Madison. The girl was taken to Northern Light Eastern Maine Medical Center in Bangor where she is in stable condition. Bucknam said the girl was breathing on her own and had opened eyes Saturday. Swanson is expected to make his first court appearance Monday.